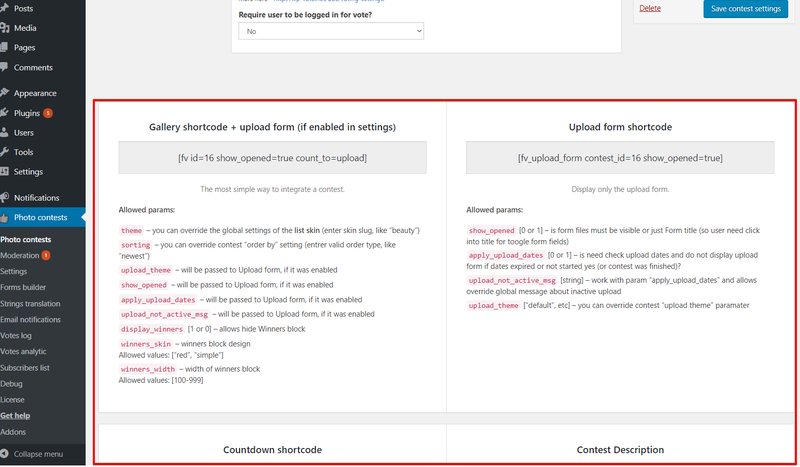 apply_upload_dates [0 or 1] – is need check upload dates and do not display upload form if dates expired or not started yes (or contest was finished)? Parameter “type”: countdown design. If empty, the option from Contest settings will be used. hide_title – is it need hide block title? count – how many leaders display? Note: your need to select one of the following options: active/upload_opened/finished. count – how many contests show?